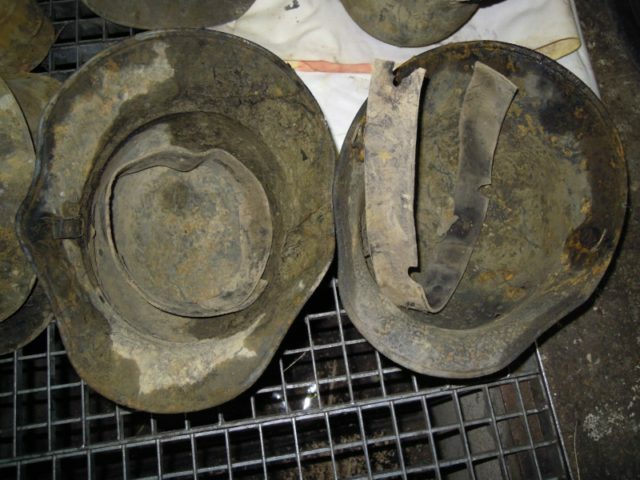 German helmets that had been buried for 100 years and were found in 2011. 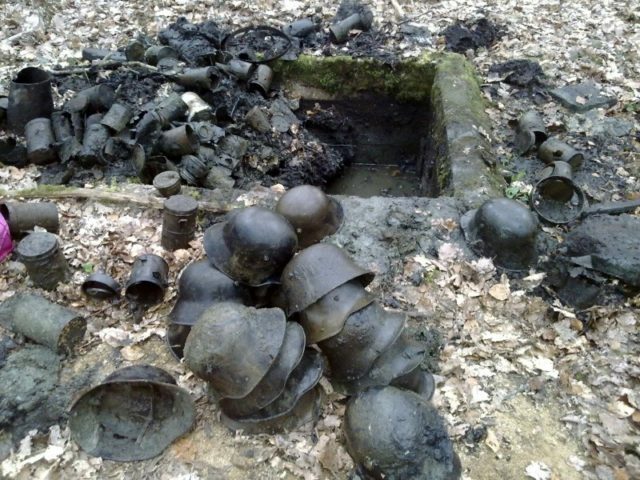 One thing you have to keep in mind,is that (as seen on the pics) this dump has been drowned for decades,and so the helmets were preserved from the contact with the air. 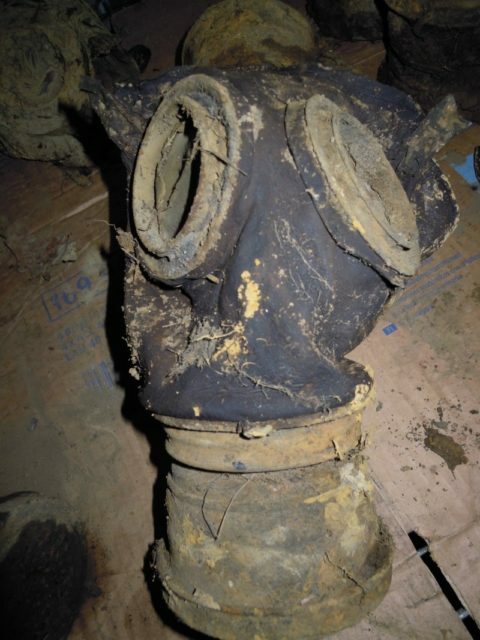 This dump was located after reading French soldiers letters from WWI. 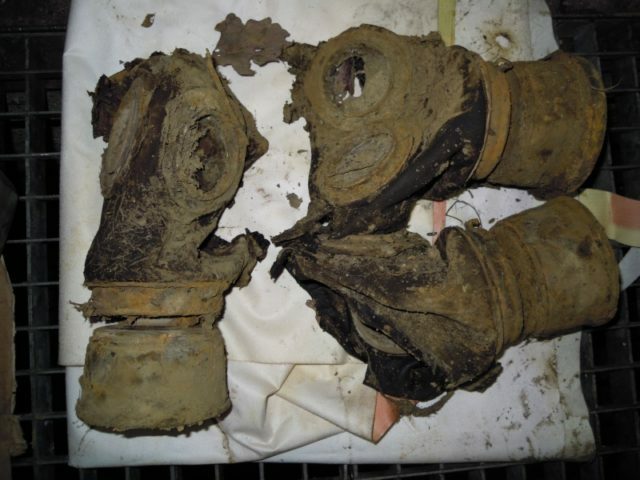 The digger who found them has apparently enraged many by selling them instead of donating them to a museum. 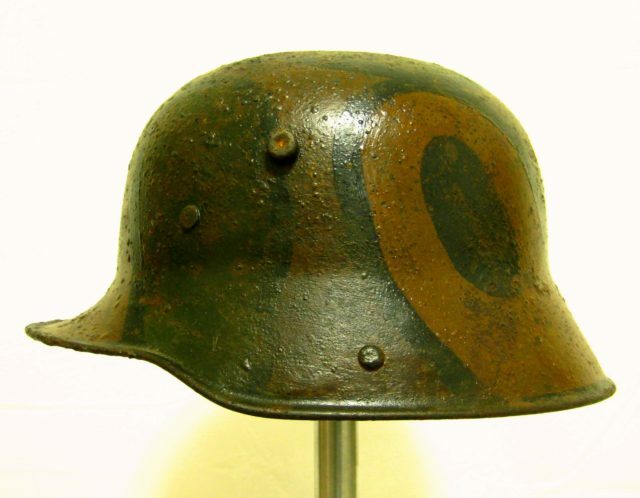 The M1916 design had side-mounted horn-like ventilator lugs which were intended to be support for an additional steel brow plate orStirnpanzer, which only ever saw limited use by snipers and trench raiding parties, as it was too heavy for general use. 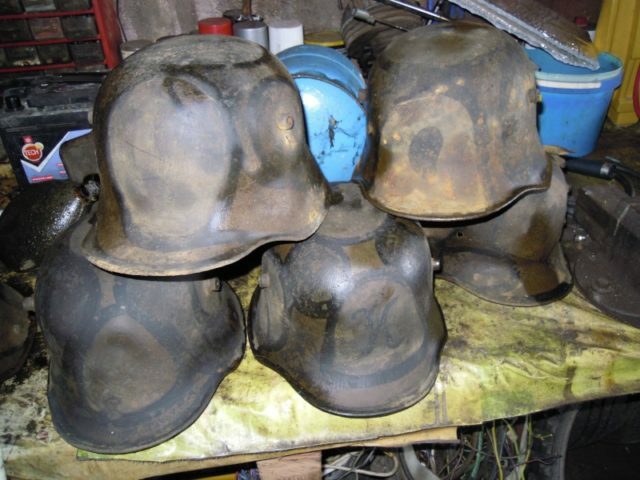 The shell came in different sizes, from 60 to 68, with some size 70s reported. 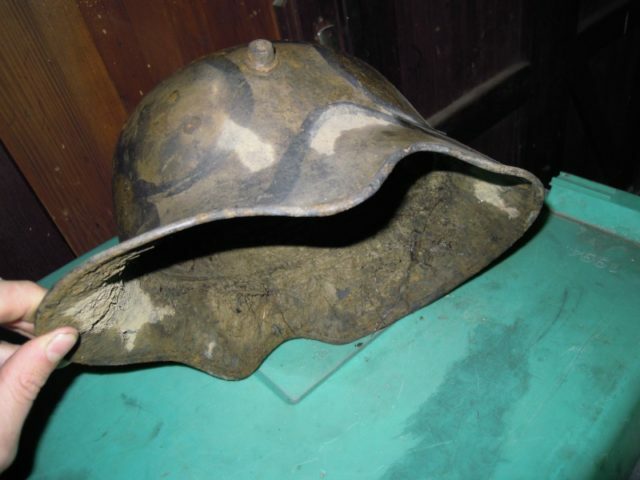 Helmet weight varied from 0.98 kg to 1.4 kg, depending on shell size. 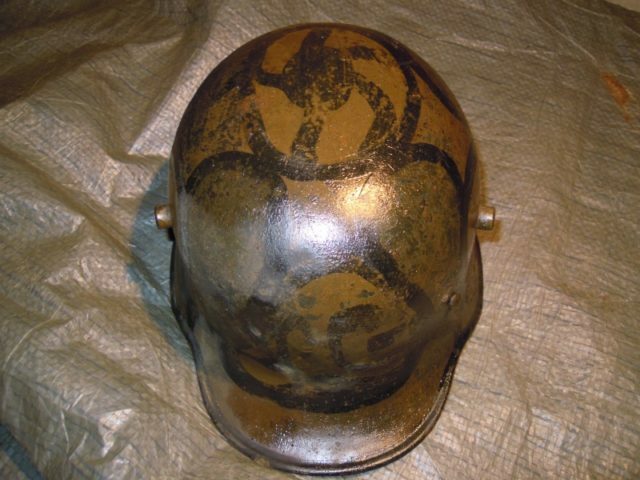 The suspension, or liner, consisted of a headband with three segmented leather pouches, each holding padding materials, and leather or fabric cords could be adjusted to provide a comfortable fit. 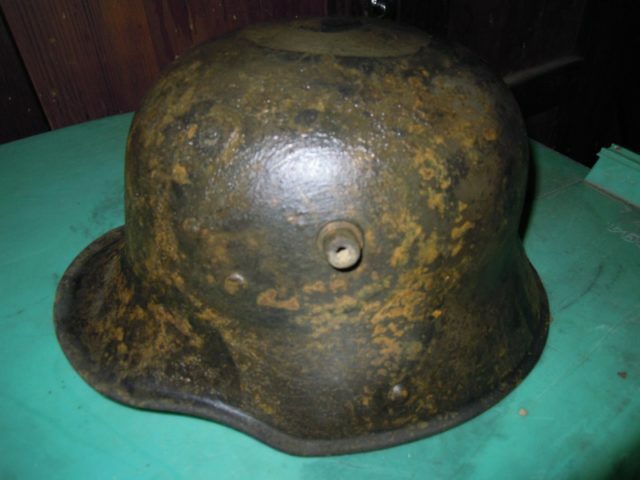 The one-piece leather chin strap was attached to the shell by M1891 chinstrap lugs, the same kind used in the Pickelhaube helmet. 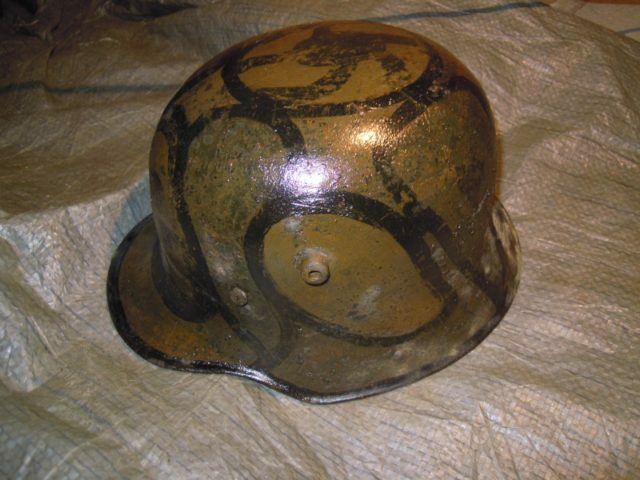 Originally painted Feldgrau (field grey), the Stahlhelm was often camouflaged by troops in the field using mud, foliage, cloth covers, and paint. Official issue cloth covers in white and grey appeared in late 1916 and early 1917. 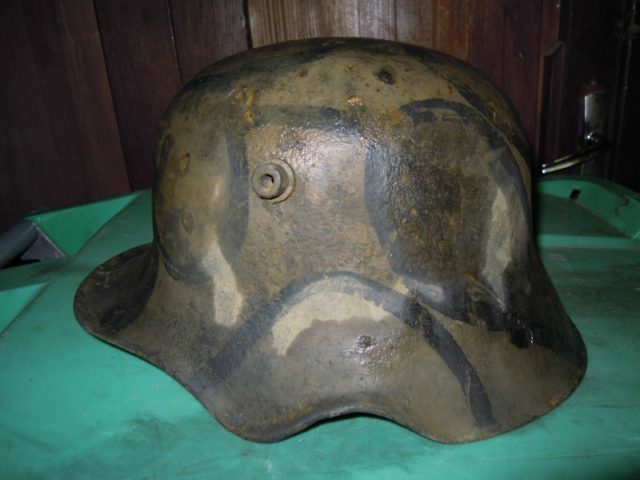 Camouflage paint was not formally introduced until July 1918, when German Army Order II, No 91 366, signed by General Erich Ludendorff on 7 July 1918, outlined official standards for helmet camouflage. 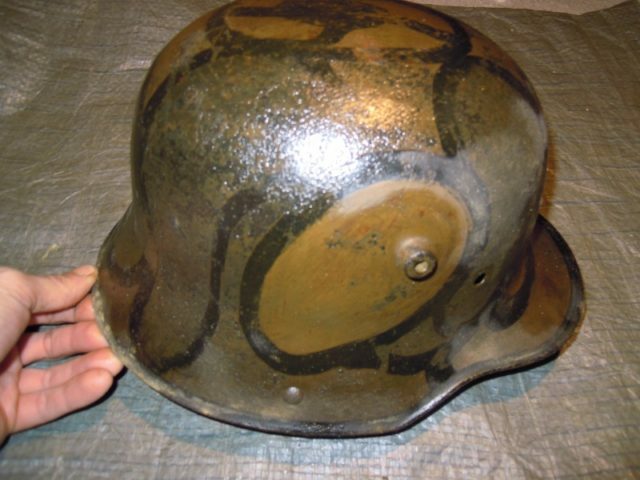 The order stipulated that helmets should be painted in several colors, separated by a finger-wide black line. 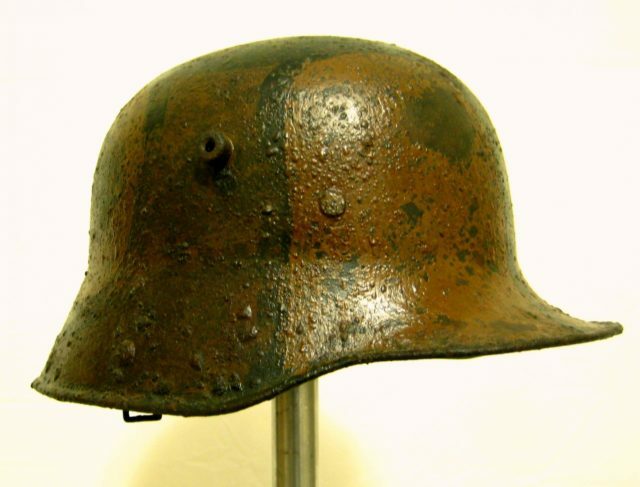 The colors should be relevant to the season, such as using green, brown and ochre in summer. 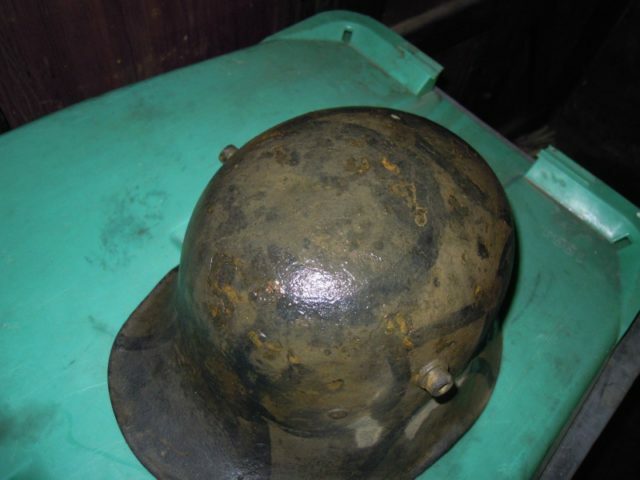 World War I Stahlhelm and anti-shrapnel body armour.